Redwood City | Cummings Moving Co.
QUAINT FACT The courthouse scenes of a beloved Robin Williams movie were shot here in at RWC courthouse. Can you name the movie? We’ll give you the answer at the end of the page. WEATHER & CLIMATE What do Redwood City, the Canary Islands and North Africa’s Mediterranean Coast have in common? They are all tied for the world’s best climate according to a climatological survey done prior to WWI. VISIT REDWOOD CITY Known as the “entertainment capital of the Peninsula,” Redwood City is now home to a beautiful, bustling major retail and cinema complex along with the complete restoration of the Historic Courthouse. Downtown offers a variety of options for you entertainment needs: music, great food, movies, art, culture and history. Come check it out! LIVE IN REDWOOD CITY Redwood City is on the move and growing fast. There are condos and corporate offices sprouting up all over town. It’s all due to it’s location – 25 miles south of San Francisco and 27 miles north of San Jose. This city has an urban/suburban bustle and a definite tech vibe. The Caltrain stop at the center of things is another reason to live here in RWC. Local business draw from talent pools in either direction and commuting is easy for those working in either direction on the peninsula. Once all the growing pains and new construction subsides, only time will tell if the inconvenience to long-term residents will be worth it. Even with a population closing on 81,000, this city has a profound sense of community that is bound to stay tight as they focus on the future. Even the schools are on a mission – to “educate each child for success in the 21st century.” An progress marches forward! 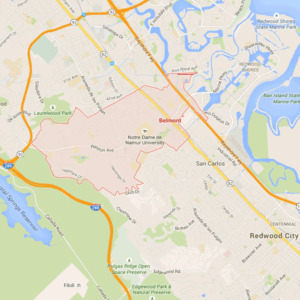 The variety in housing is attractive to those considering living in RWC. The employment options are good and growing, there are plenty of recreational choices, great city services and the public education system is rock-solid. Plenty of reasons to live in this wonderful city. OUTDOORS With weather as perfect as this, who wouldn’t want to be outdoors! Questions about where to go? Call Parks and Recreation of Redwood City at 650-780-7500. Herkner Memorial Pool – Offers swim lessons, camps and recreation swim during those warm summer months. Phil Shao Memorial Skate Park – For those that love to skate board, this is your park. Named after Redwood City’s own Phil Shao, it offers over 13,000 square feet of skate park fun! Shore Dog Park – Our furry friends need to get out and run and this is the perfect place to let them go! INDOORS On the very occasional day when it is too cold or wet to have fun outside, you may want to think about one of these indoor options. If you plan on having a moving sale prior to your move to Redwood City, here are some Tips for Managing a Moving Sale. Awesome! Super great to work with. Made our move so easy!